A $20 Kris Kringle? A $50 gift for your bestie? Splurge for someone special? 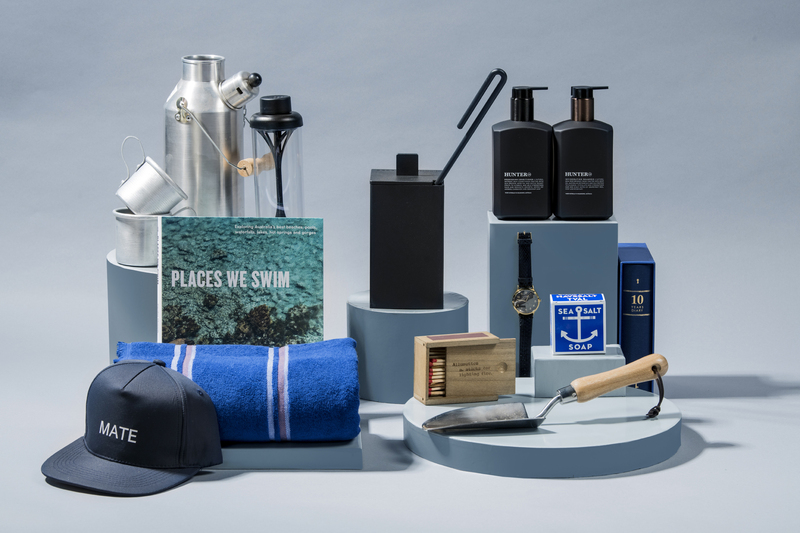 Not only have we got you covered – we’re giving away a truckload of excellent pressies. Update (Monday 17 December): This competition is now closed. 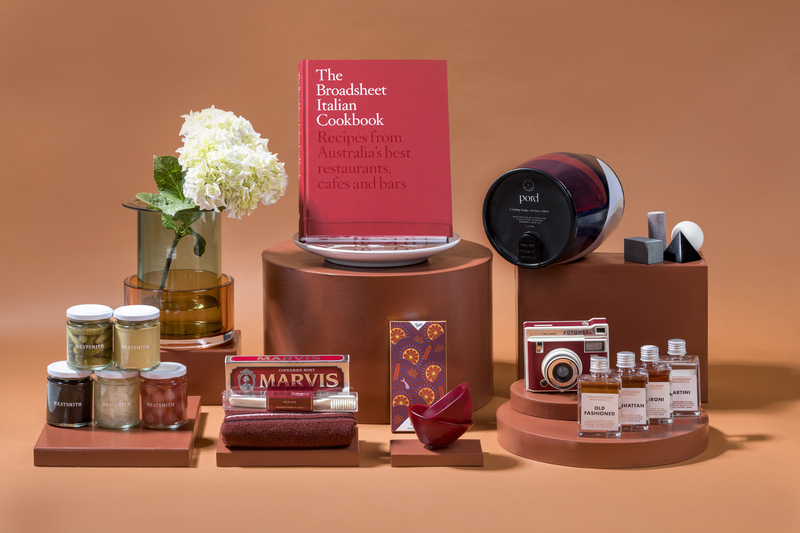 Broadsheet would like to thank all who entered, and congratulate our lucky winners Nicole M, Annika J, Shontel F, Chloe P and Stephanie F.
The best thing about this gift guide is not only will you find the perfect Christmas pressie for everyone on your list – you could win some of those pressies for yourself. 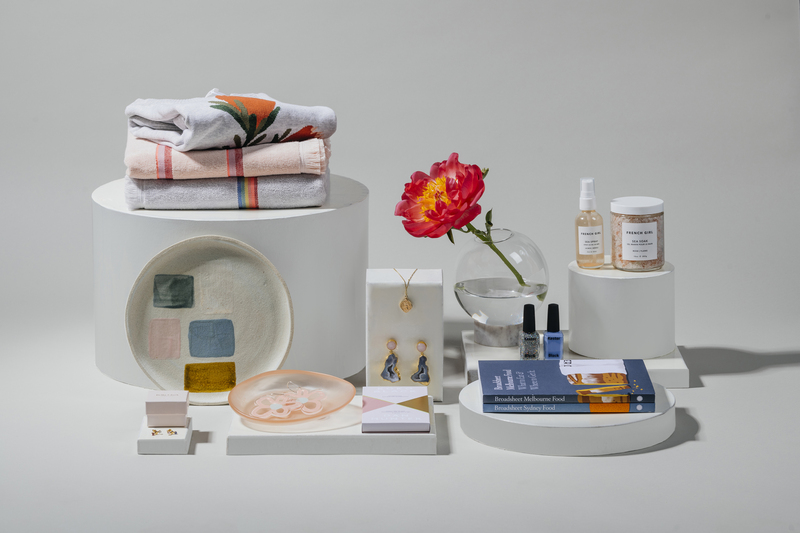 As part of Broadsheet’s Christmas Unwrapped giveaway competition, you could win one of five gift sets featuring some of our favourite Australian makers and designers. For your chance to win, sign up in the entry form at the bottom of this article. (Current Broadsheet subscribers must also enter their email.) The competition runs from Tuesday December 4 to Monday December 17. 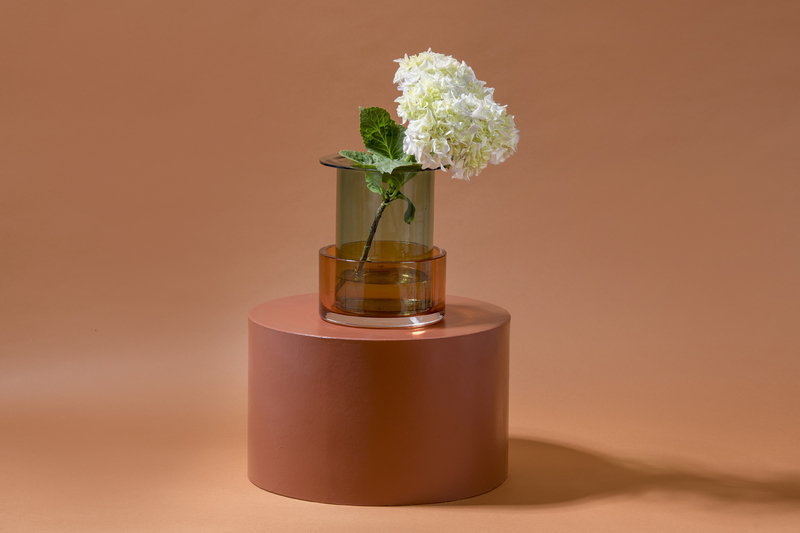 The Tricolore Vase by Sebastian Herkner for &Tradition is actually two separate cylindrical vases in different sizes and colours. Use separately, or together. This is the gift for someone special who has a penchant for Scandinavian style or vases that are more like art. Put the Rosella fruit chutney away because chef Andrew McConnell’s Melbourne speciality butcher Meatsmith has brought home the bacon with its condiment essentials for Christmas. Cornichons, mustard, pickled baby onions, pickled fennel, ranch dressing, and ham glaze are just part of the line-up. These sets are available online, and at the Fitzroy and St Kilda stores in Melbourne. 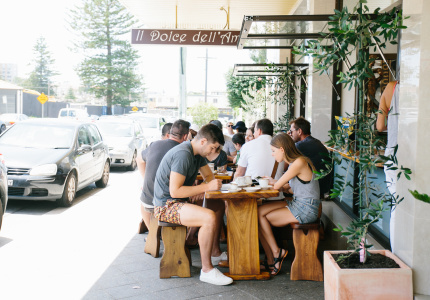 The Broadsheet Italian Cookbook features 80 essential recipes from Australia’s best restaurants, cafes and bars, forming the definitive guide to contemporary Italian-Australian dining in all its forms. The book is filled with beautiful photos, stories and guides to Italian cheese, wine and more, making it not only a pleasure to cook from but to read. Alexandra Heard and Heleena Trahanas make clothing, jewellery and finely crafted homewares inspired by travels to Europe and beyond. This Alex and Trahanas handpainted ceramic dinner plate will add character to any dinner table, or can be used for tidbits such as keys or jewellery, or simply as decoration. 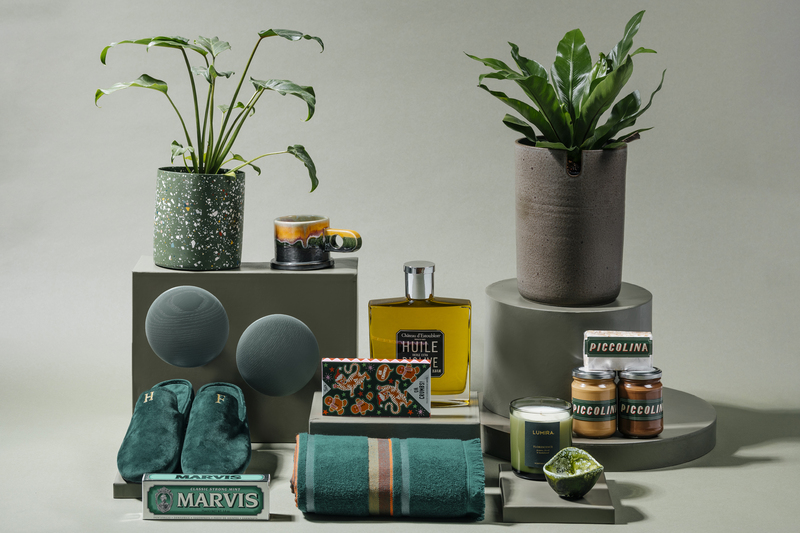 The treasure trove that is The Hub General Store contains a range of functional, practical and beautiful objects inspired by 15 years of the owner’s travels, including the best-looking toothpaste you’ve ever seen, by Marvis, and vintage toothbrushes. Visit the store in Collingwood, Melbourne, or call (03) 9652 1228 to place a phone order. 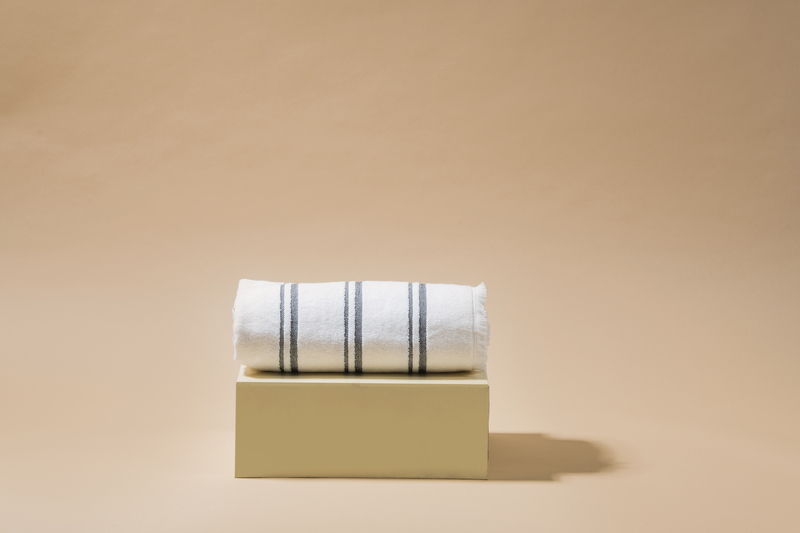 Australian textile label Købn brings Copenhagen style poolside – or inside – with its range of luxe, minimalist towels. 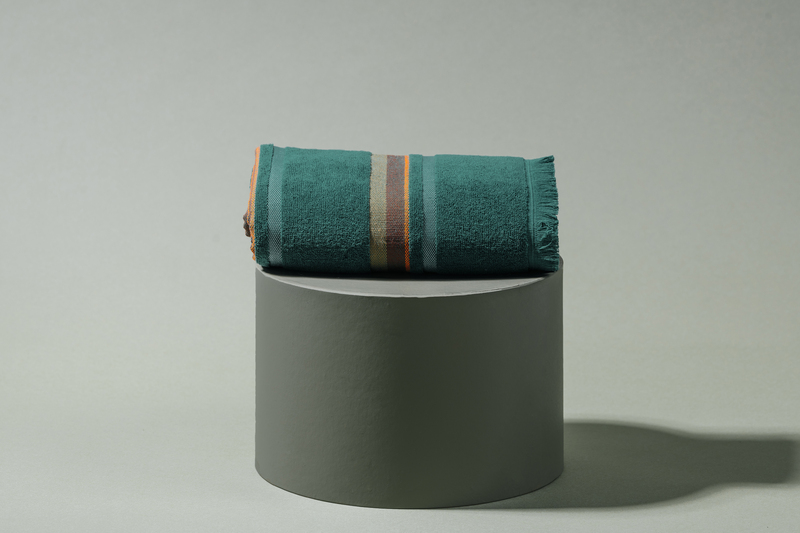 Reversible, lightweight and highly absorbent, the towels come in a range of timeless colours, making them the perfect gift for any home decor obsessive. Hey Tiger is a social enterprise making chocolate bars with ethically sourced ingredients, and wrapped up in vibrant, playful packaging. 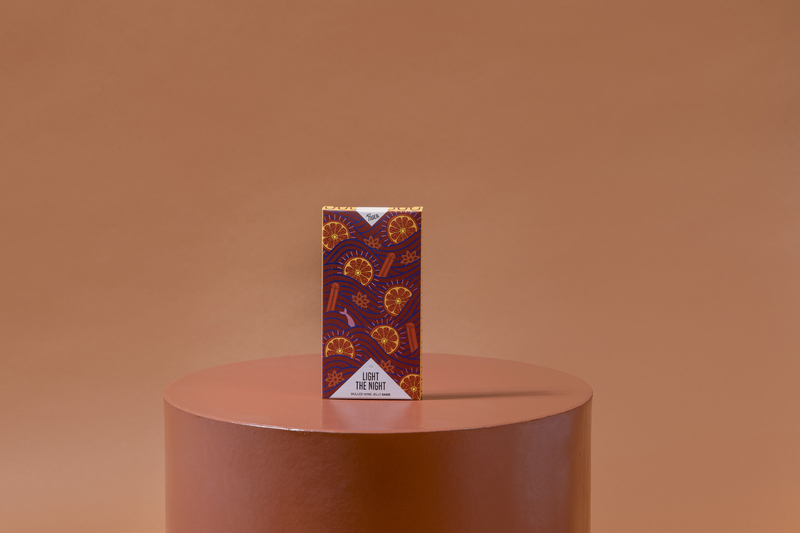 The box for the Limited Edition Light the Night Chocolate Bar was designed in collaboration with Australian artist Nathalia Suizu. And it’s as good on the inside as out; it contains spiced mulled wine jelly in vegan dark chocolate. What do you get for the person who already has everything? Probably these guys from Dinosaur Designs – surely the-best looking gelato cups in Australia. These come in a wide range of fun colours, and if gelato’s not your thing, they’re perfect for holding salt and pepper, or jewellery. Never have the words “art” and “goon” been used in the same sentence so appropriately. Pord partners with Australian artists – in this case painter Hannah Nowlan – and Victorian vineyard Mitchelton to create boxed wine of a more elevated style. Select the wine, then select the art container you think your giftee will like best. Drink Rocks keep your spirits as they should be: undiluted and cold. Chill these mini-sculptures in the freezer before dropping them into your drink. The perfect gift for that friend who never fills up their ice tray. The Lomo Instant Auotmat Camera might look vintage, but it’s fully automatic and prints out those raucous Christmas party snaps before your eyes. So much more fun than an iPhone. Visit the store in Collingwood, Melbourne, or call (03) 9652 1228 to place a phone order. The Famous Four Cocktail Set by Melbourne’s The Everleigh features four classic drinks including a Negroni, Manhattan, Martini and an Old Fashioned. 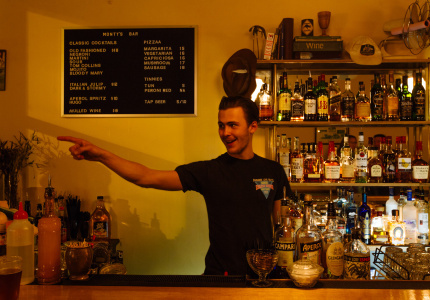 A taste of one of Australia’s best bars at home? Delicious. 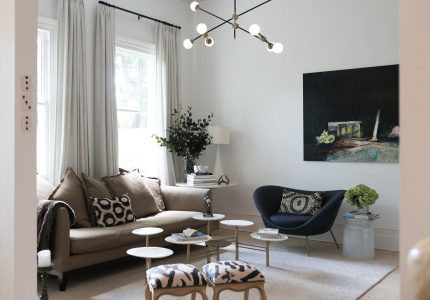 Ryder is the result of Melbourne sisters Penny and Georgie Brown’s love for making old things new, which is inspired by Australia’s sweeping horizons and flora and fauna. The label’s Protea Intarsia Sweater is the perfect lightweight knit for cool summer evenings. Købn’s luxe pool towels are made by family-owned mill in Turkey. 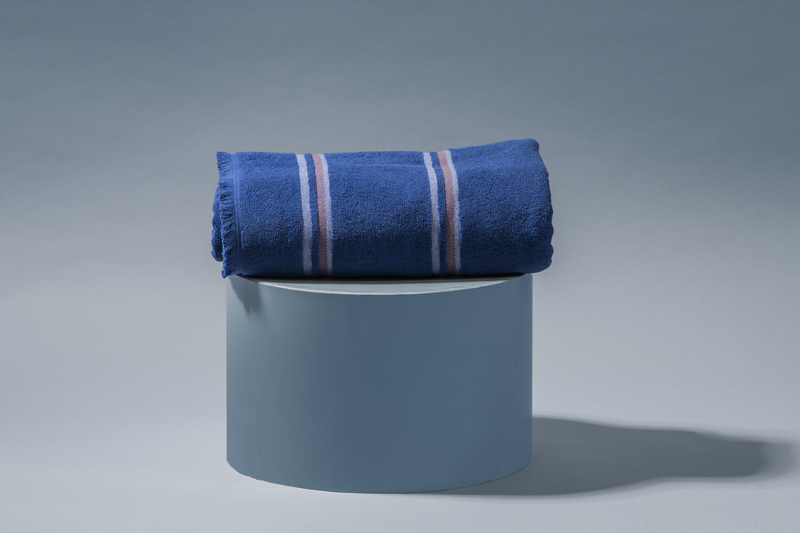 Like its range of hand towels, these are reversible, lightweight and highly absorbent. The perfect beach companion. Pepite is a gallery-esque retail space that sells handmade items by emerging and established artists. This pretty, tactile ceramic plate is by Adelaide-based ceramicist Debbie Pryor. These delicate but striking studs by Melbourne-based jeweller Bella Clark are sold individually and can be colour-customised with your choice of semi-precious stones. The Pipi Bowl from Dinosaur Designs’ new Rockpool collection will add a pop of colour to your home. A new home for soap, keys or earrings. Designer Stephanie Watt creates playful, laser-cut accessories. We love these acrylic, handpainted Wild Flower Earrings – they were made for party season. Sit & Wonder is a Sydney-based jewellery brand by Emily Ko. This pretty Travellers Amulet is made with nine-karat gold and features St Christopher (the patron saint of travellers) to protect the wearer on their journeys. We’ll be journeying to the Sit & Wonder’s website, pronto. Isabella May jewellery takes its cues from old Hollywood, art and nature. The Lisa Earring is handmade with gold-plated brass, encasing geode and coloured acrylic stones. Koko Black has teamed up with one of Australia’s best chefs, Brae’s Dan Hunter, for a special edition of chocolate made with Australian botanicals. Flavour combinations include finger lime, green ant and burnt butter cream, and strawberry-gum ganache and passionfruit jelly. The ideal pressie for your foodie friends. 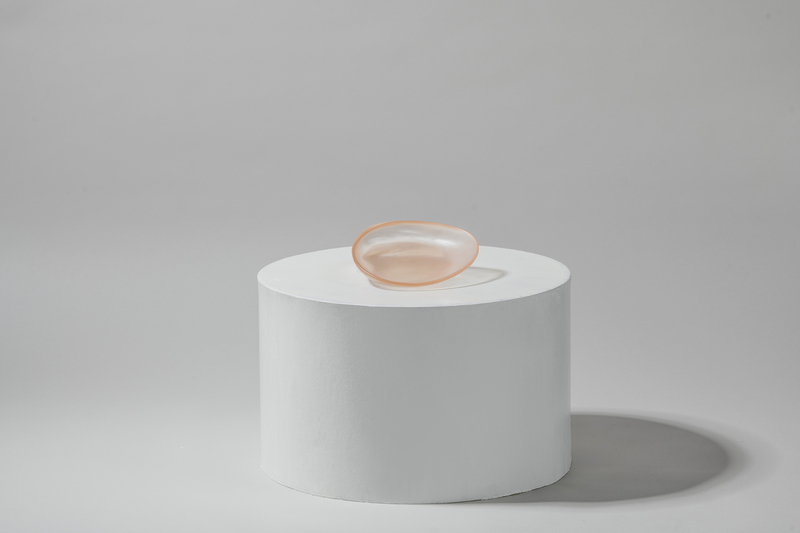 The sculptural Baby Buddy Vase looks good without anything in it. The rotatable glass globe can be moved to face various directions, making it a versatile and beautiful home addition. Our tip (from experience): put the water in first. Australia’s Kester Black makes nail polish that’s animal-cruelty and palm-oil free, and vegan. The perfect gift for beauty fans who are also fans of the environment. These books are the essential guides for anyone passionate about food, cooking, and exploring Melbourne or Sydney. Each one features the city’s best food shops, suppliers and producers, covering markets, bakeries, grocers, delis, butchers, bottle shops and more. Established classics and hidden gems are all included. French Girl makes botanically derived, vegan, cruelty-free skincare, and this set is a must-have for anyone who loves a relaxing soak in the bath. 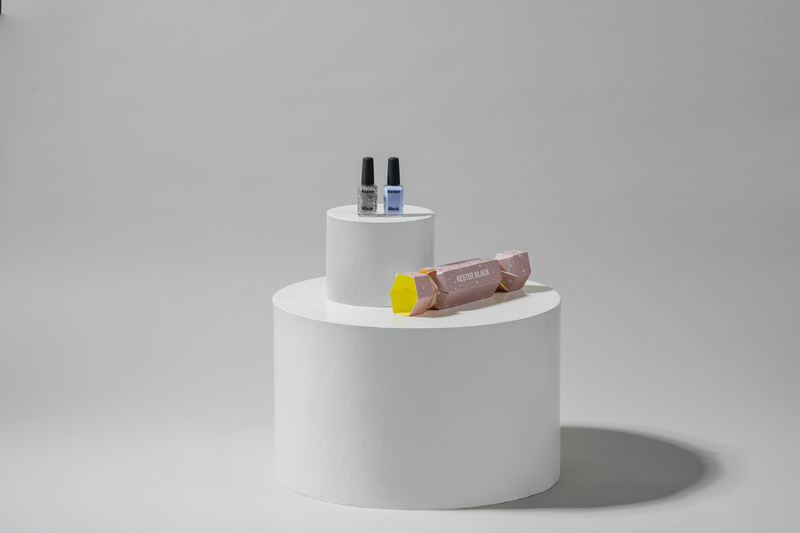 The packaging is super chic too, so will look good in those bathroom cabinet #shelfies. Yep, it’s a thing. With this aluminium mug and kettle set, your giftee will be the most stylish camper on the mountain. Perfect for outdoorsy types, these guys are made for summer road trips. 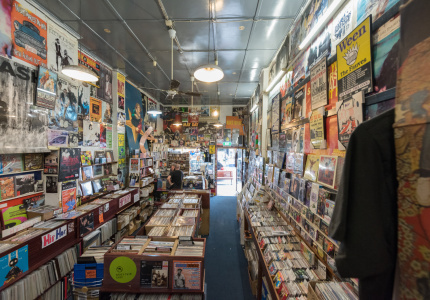 Visit the store in Collingwood, Melbourne, or call (03) 9652 1228 to place a phone order. 321 makes sustainability-minded products with an emphasis on sleek design. (You might have seen the Australian brand’s reusable Uppercup for coffee and other hot drinks.) Its filter water bottle is made in Australia, and purifies your water with a special plunging mechanism. 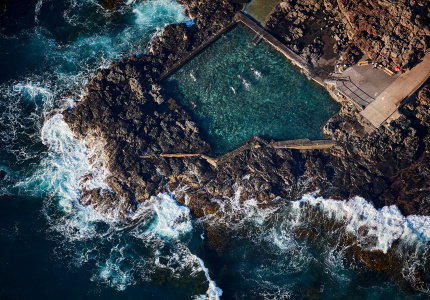 Caroline Clements and Dillon Seitchik-Reardon travelled around Australia in search of Australia’s most distinctive, remarkable swimming spots: ocean pools gorges, lakes, waterfalls, hot springs. It’s all documented in vibrant, striking photographs in their new book, which is part travel guide, part photo essay, and part cultural study. There’s also practical information on each spot, including when and how to visit. Give this to a pal and they’ll always be able to find their towel on a crowded beach. Made with terry fabric with a raw fringe detail, it’s equal parts bohemian and stylish. Australian designer Dylan Best (ex-Club Monaco, Ralph Lauren in New York) makes considered casualwear with premium fabric. The Mate Hat is a tech fabric snap-back trucker. 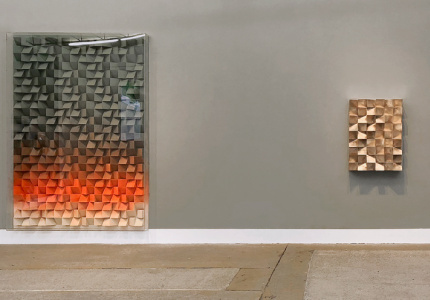 This handy ceramic stone – inspired by 18th-century Alaskan whalers – is porous. Soak it in paraffin oil and strike a match and you’ve got a kindling-free fire-starter. Once lit, the stone will burn for 15 to 20 minutes, allowing large logs to catch fire. It comes in a minimalist matte-black steel vessel, so no mess. Visit the store in Collingwood, Melbourne, or call (03) 9652 1228 to place a phone order. This stuff smells good, looks good, and does good to your hair. It’s made with a range of natural ingredients designed to hydrate, strengthen and thicken your locks. It will add a touch of luxury to your morning shower, plus its slick matte-black packaging makes it a smart addition to the bathroom. Pete Kennon and Jack Davis started Jack & Bell after struggling to find versatile, high quality designer watches at a reasonable price. These watches have a Swiss-made movement and feature the same quality steel used in Omega or IWC watches. They also have faces made with sapphire glass – a form of crystal second only to diamonds in hardness. Kalastyle is a family business that began in a New England farmhouse. 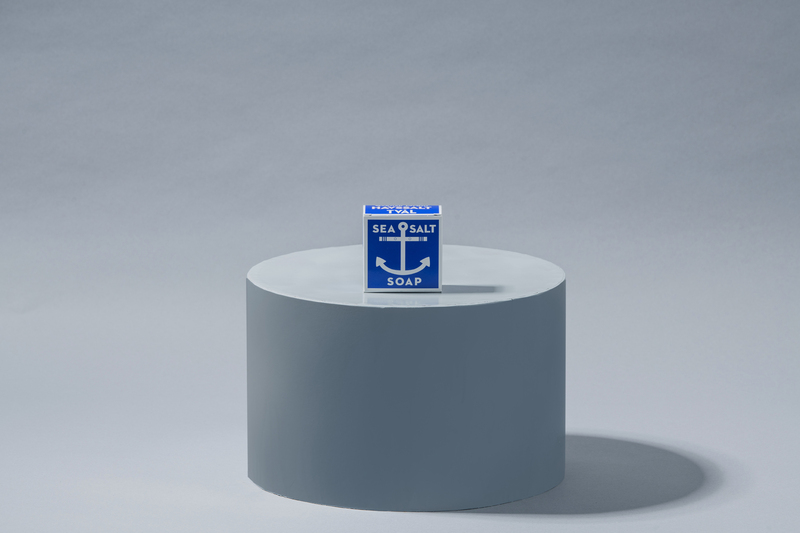 The company’s bestselling Sea Salt soap has a natural exfoliant, which will make you feel like you spent a day at the beach. 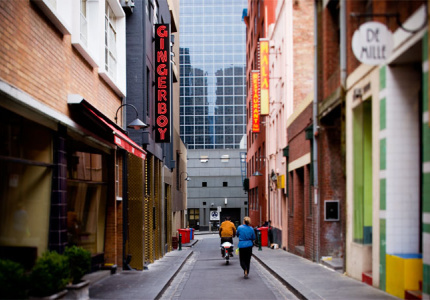 Visit the store in Collingwood, Melbourne, or call (03) 9652 1228 to place a phone order. This stylish set of tools for the home gardener includes a stainless-steel planting trowel, hand fork and weeder, all with wooden handles and leather straps. Midori is a Japanese stationary brand dating to the 1950s, and its 10 Year Diary is the perfect gift for the nostalgic or writerly. Visit the store in Collingwood, Melbourne, or call (03) 9652 1228 to place a phone order. Cream with black stripes, this is the ultimate gift for timeless poolside style. 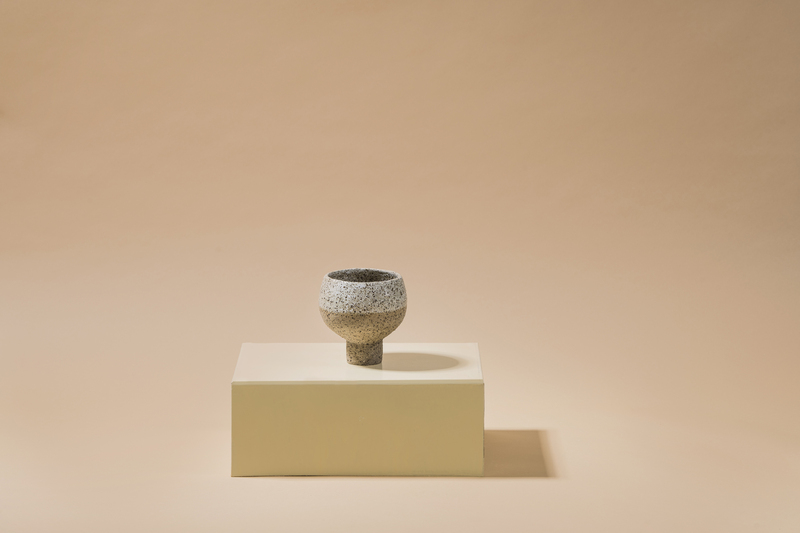 This handmade ceramic piece Simone Karras has a textured, grainy finish, making it a beautiful vessel on its own, or a very smart home for a baby cactus. Melbourne’s Finde makes suncare products with cyclists mind. It uses a formula designed to prepare, protect and repair skin that spends a lot of time outdoors. Australian label Maiki makes women’s lingerie, intimates and loungewear. These comfy silk PJs can be worn to bed, or styled with an everyday wardrobe. 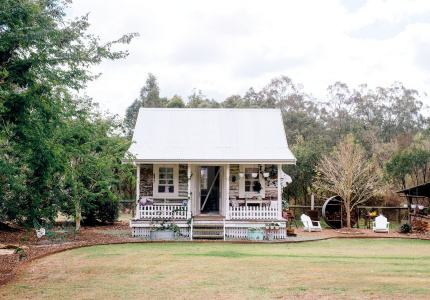 Perth-based Clover Lee-Steere’s quirky accessories blend bohemian flair with relaxed coastal style. The glam new Luna Bag is the perfect gift for those who like to make a statement. This spicy candle by ceramic homewares brand Mud Australia will burn for 80 hours. Its scent is a mix of fresh lemon and greenery with woody amber, sandalwood and cedar. When it’s burned through, you can use the porcelain vessel for something else, or get it refilled by Mud. We all know someone obsessed with their dog and this collection of contemporary, minimalist pet bowls will ensure the pup stays hydrated and the floor looks good. Visit the store in Collingwood, Melbourne, or call (03) 9652 1228 to place a phone order. Leaf & Thread creates striking handmade ceramic pots. Good for the plant lover, or interior decorator. Nicolette Johnson makes minimalist, sculptural ceramic pieces in small batches. This vase was made in collaboration with Modern Times as part of limited-edition The New Heirlooms collection. We love the pearly iridescent finish of this multipurpose vessel, which glows in the natural light. This handmade ceramic whiskey cup (and matching rock) by James Lemon is both a chalice and a piece of sculpture. Two birds, one (literal) stone. This polished pale-pink tray is made with a blend of marble chips and other fine aggregates. It will elevate any surface in any room, and is an ideal pressie for the entertainer or the design-minded. 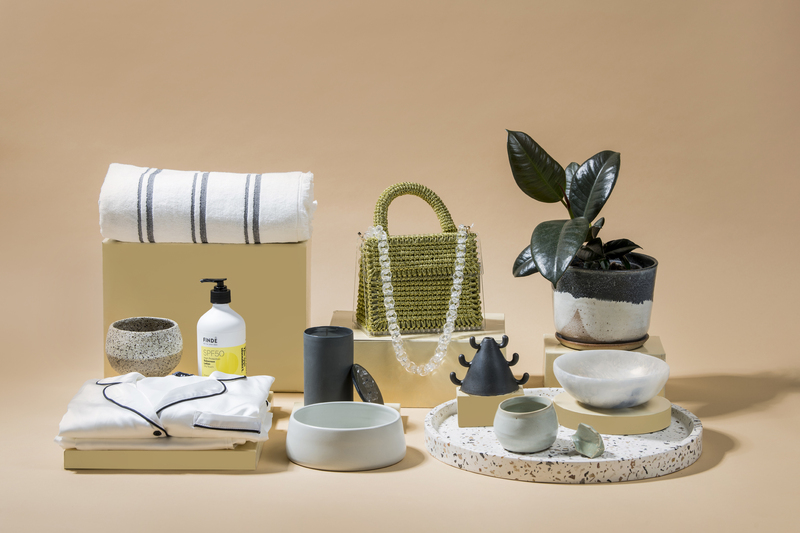 Sydney-based designer Lauren Eaton creates pieces that are both functional and wonderfully tactile. 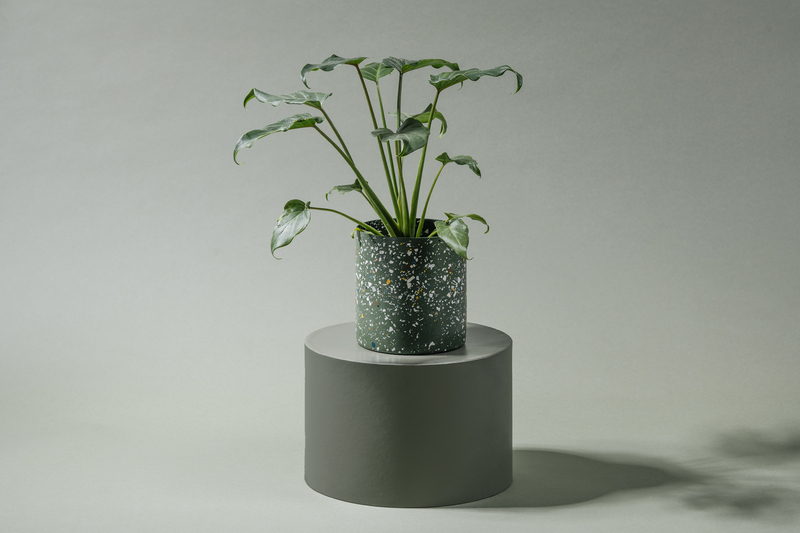 Her Confetti Stone Vessel is coated in a clear resin, so it acts as both a vase or pot-plant holder, or an art object. Echo Park Pottery is a Californian studio affiliated with Memphis design movement artist Peter Shire. Its wares are sold exclusively through Third Drawer Down in Australia, and this hand-dipped mug is an example of the studio’s striking pieces. For the art and coffee fiend, who’ll love downing a cuppa out of a piece of sculpture. These versatile wooden hooks can be arranged in infinite combinations making them a decorative and practical solution for hanging coats, towels, bags and more. They’re available in a variety of colours and sizes for spaces big and small. For the Italophiles among your friends and family, Marvis toothpaste is imported from Florence in Italy, and has a rich, smooth texture, developed over generations. The Strong Mint flavour is the perfect match for your post-Christmas-meal brush. Visit the store in Collingwood, Melbourne, or call (03) 9652 1228 to place a phone order. This gargantuan – and beautiful – bottle of olive oil from Provence looks good and tastes even better. The elegant Art Deco glass bottle makes it a kitchen-counter stayer – no hiding in a cupboard for this one. This limited-edition Oh Crumbs chocolate bar is all about spicy gingerbread covered in white chocolate. Dessert is served. The Pacific Green is just one of several stylish colourways by Købn. Made from durable terry fabric with a raw-fringed finish on each end, this is the gift for anyone who spends time by the water. This ceramic vase was initially created for a retail showroom concept inspired by natural materials and botanical forms. The shape encourages asymmetrical flower arrangements, and the olive-green-glazed ceramic stone has a semi-matte finish. Visit the store in Collingwood, Melbourne, or call (03) 9652 1228 to place a phone order. Piccolina gelato is made with 100 per cent natural ingredients and family recipes. Available individually or as part of a Christmas hamper (which also includes a tote bag, a one-litre tub of gelato and honeycomb) – the Piccolina peanut butter, Better-Than-Nutella and Torrone flavours will be a fine match for any Christmas meal. This limited-edition Florescence candle by fragrance house Lumira is a collaboration with The Royal Botanic Garden in Sydney. Proceeds go to conservation work. The scent is a blend of tangerine, clove, magnolia, jasmine, gardenia and neroli with base notes of patchouli, amber and sandalwood, reflecting the fragrances you might encounter in Australia’s oldest living botanic garden. This baby resin bowl by Dinosaur Designs will add a pop of colour to any home, and is perfect for holding small pieces of jewellery, or condiments you’d like to beautify for a dinner party. Total value of all prizes: $6865. Ends 10am 17/12/18. Open to AU residents of VIC, WA, QLD & NSW aged 18+. 1 entry per person. Draw:12pm 17/12/18 at Promoter’s address. Prizes: 5 winners will each receive a prize pack as detailed in the full T&Cs. Prize packs awarded in descending order of value. Total Prize Pool: $6,865 (RRP incl GST). Winners notified in writing & published on broadsheet.com.au 21/12/18. All times AEDT. Full T&Cs on broadsheet.com.au. Promoter: Broadsheet Media Pty Ltd (ABN 20 131 593 201) of L1, 231 Smith St, Fitzroy, VIC, 3065. Permit: NSW LTPS/18/30283.